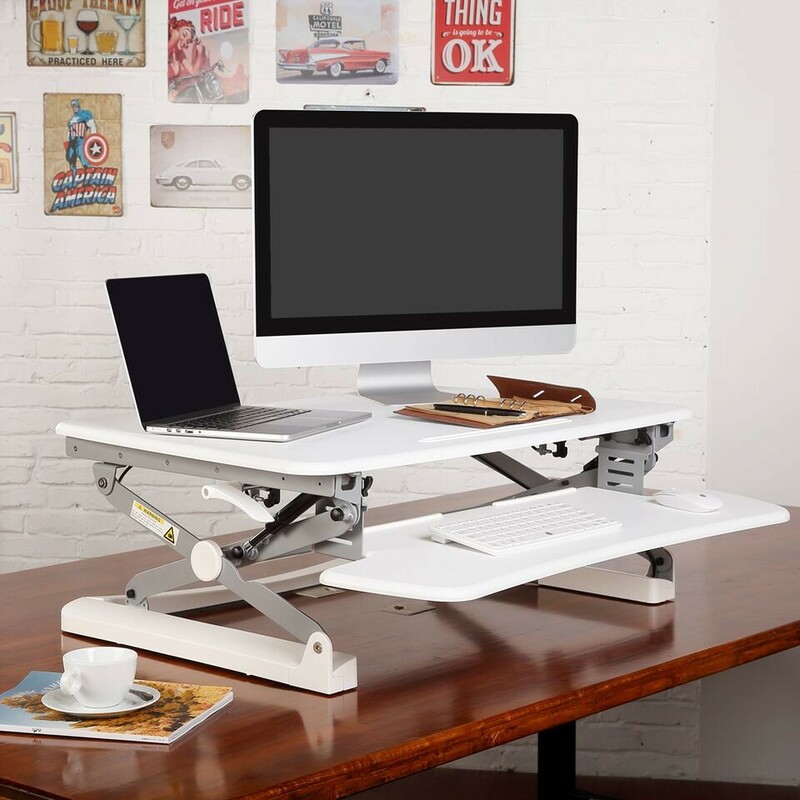 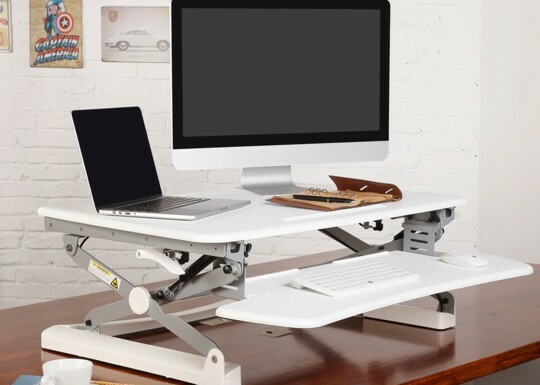 Our desk based adjustable workstation product, Rapid Riser, is now in stock in white. 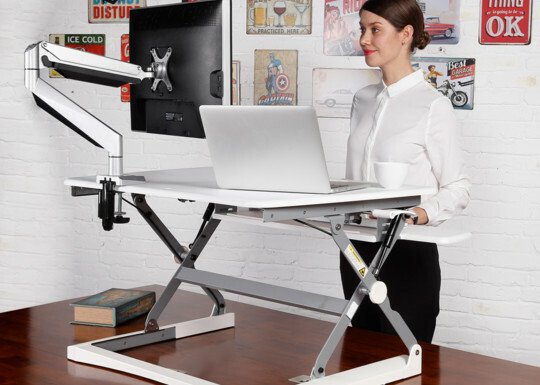 The health issues around tension to the neck, shoulders and back caused by having your desk too high or too low are well documented. 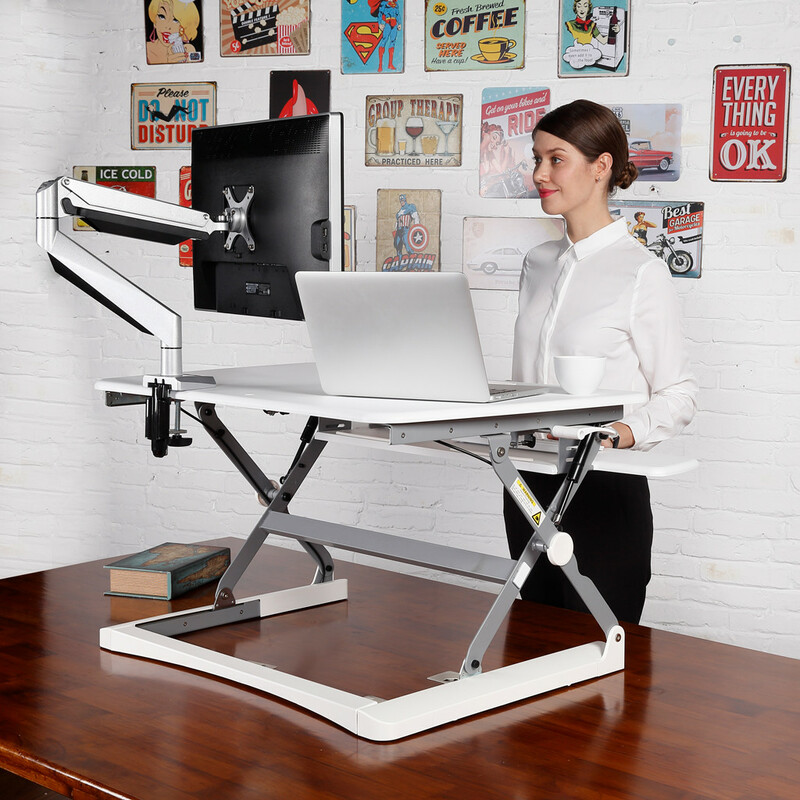 It is recommended to have your monitor at eye level or a little lower, and your desk height at approximately the same level as your elbows. 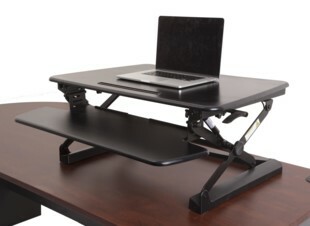 This can be achieved with a fully ergonomic chair and monitor arm, as well as an adjustable height workstation. The Rapid Riser enables fixing a sitting desk height to suit user size, as well as offering the additional benefits to posture, relief of tension and higher energy levels derived from working in a standing position.